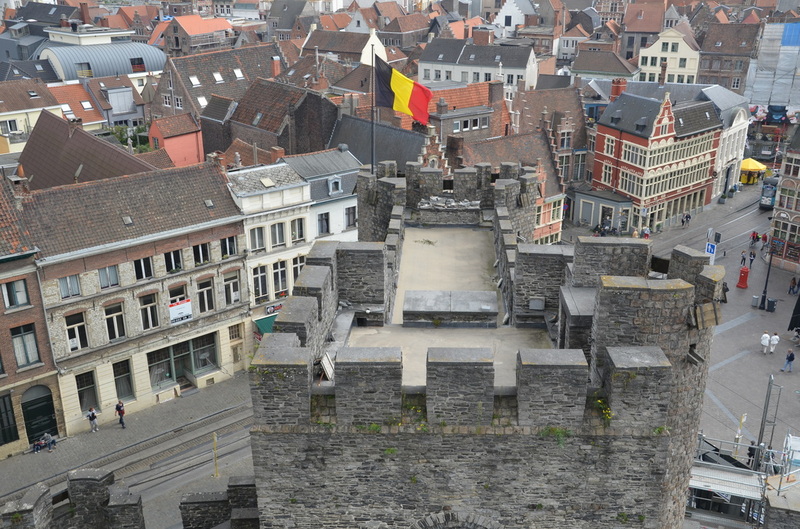 The first to build a fortification in this area was the count of Flanders Arnulf I (918-965). A building in the form of a wooden bastion, naturally protected by swamps and the river Leia, was built here. At the beginning of the 11th century, the central wooden building was replaced with a stone, traditional building. 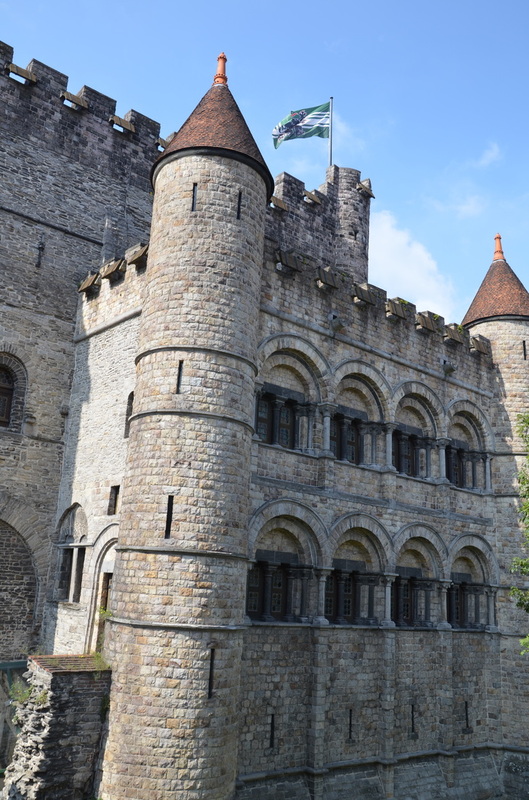 The limestone of Tournai was used to build the castle. The castle was luxuriously furnished at that time. 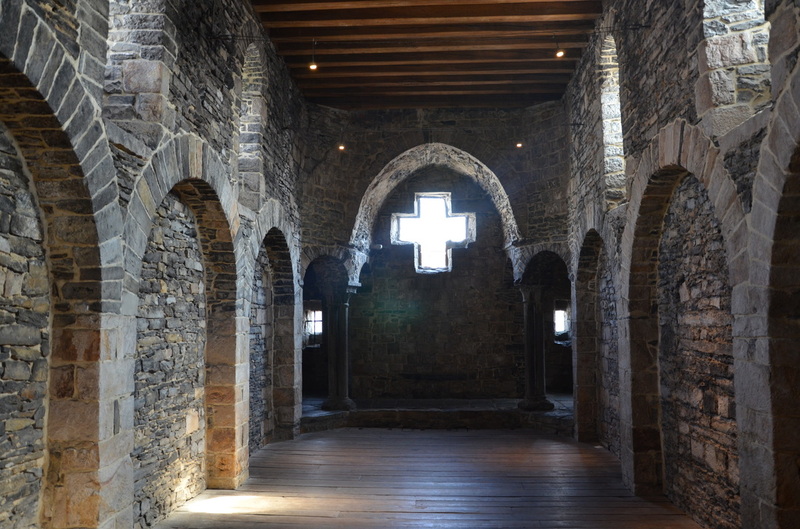 It had a large staircase, skylights, rare fireplaces and latrines. He probably also had a tower. Until the end, it is not known who was responsible for this stage of construction. It is assumed that it was Count Baldwin IV (938-1035), or Count Baldwin V (1035-1067). Construction coincided with the reorganization of Flanders County. 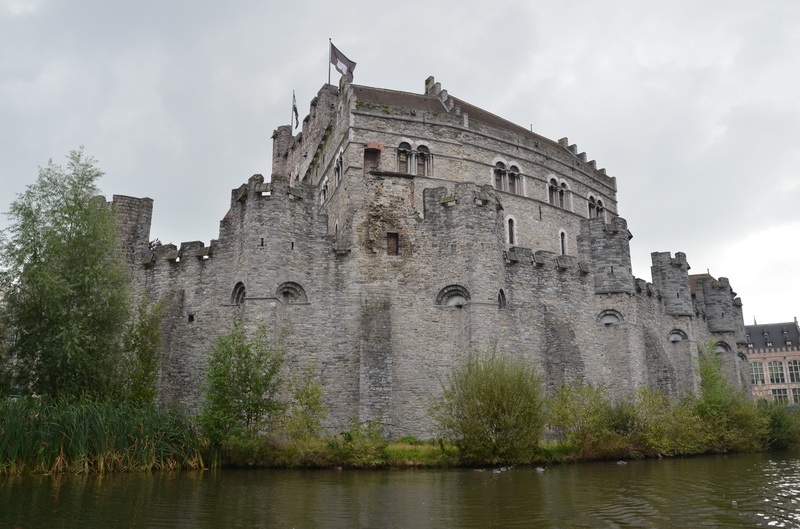 As a result, the Gravensteen castle became the seat of the viscount. A century later, during the reign of Teodoric Alzacki (1128-1168), a cone-shaped gable structure was built here, a very popular motte and bailey residence in the 11th and 12th century. It was characterized by a fortification on the embankment in the shape of a truncated cone that circled the moat and a closed courtyard. 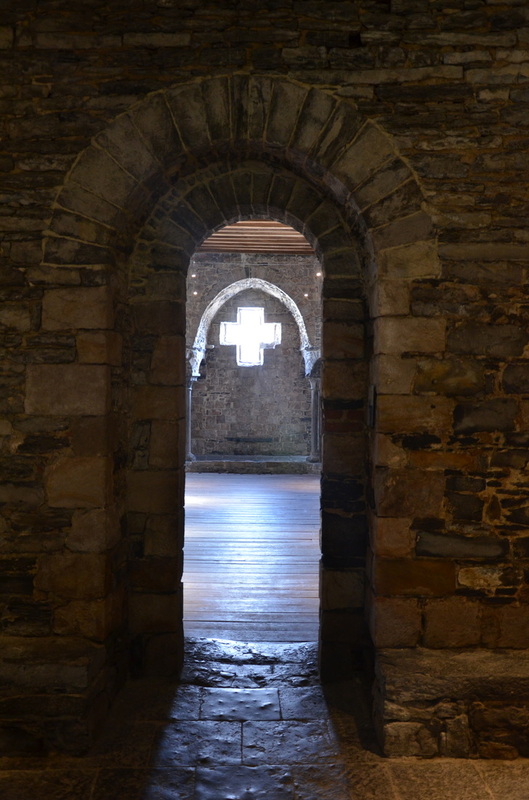 In the 1176 year, the fire consumed both the main castle and the buildings in the courtyard. An inscription in Latin, located above the main entrance, says that the castle was built in 1180 a year, by Count Filip Alzacki (1168-1191). The construction of an impressive stone castle was intended to restore the authority of the county. The hill was raised and widened so that the construction center was at the height of 30 meters. The castle had two underground levels and two above-ground floors with decorated, magnificent vaults, cradle ceilings. The defensive points of the castle and the gate have also been strengthened. In the courtyard, the stone church of Sint-Veerlekerk was built, which was consecrated on 30 June 1216 year. 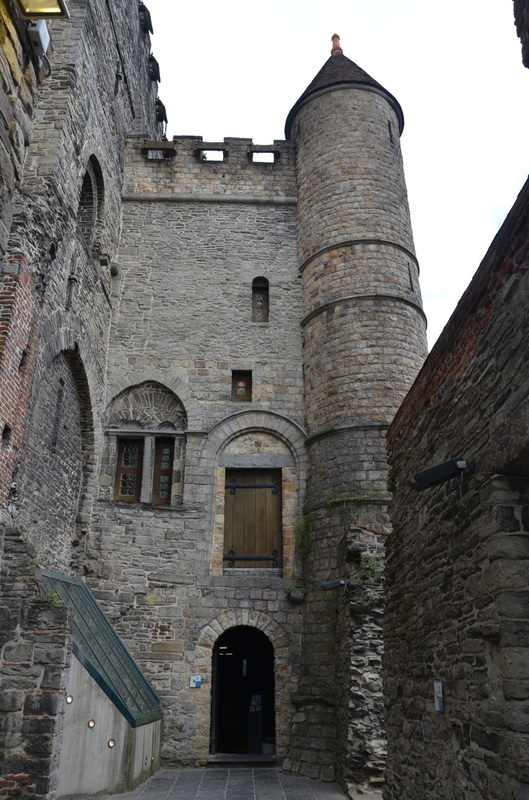 Gravensteen Castle in the 14th century was the seat of both the Flemish Council and the Supreme Court of Flanders, the Oudburg Feudal Court, and the Regional Councilors' Benches. Crimes of the highest caliber were judged here, eg majesty images. 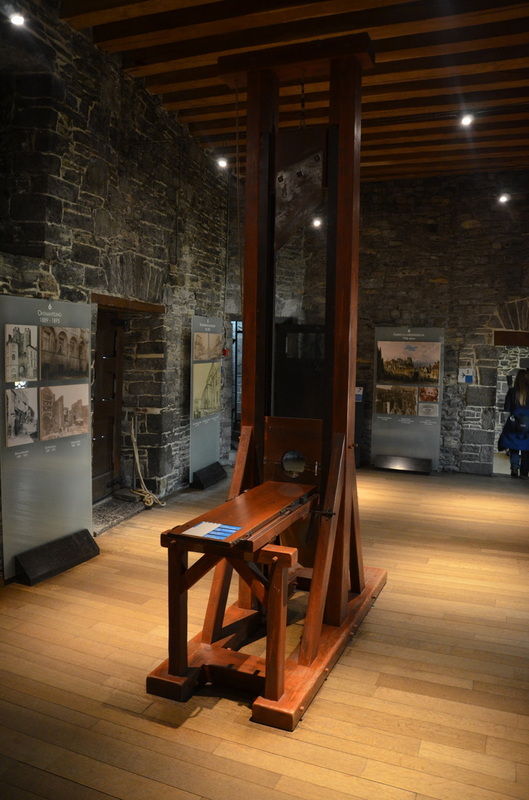 New buildings for officials were built, in the cellars dungeons for convicts, and torture chambers. The castle also held important parties and weddings, as well as prestigious meetings of the Order of the Golden Fleece. In year 1353 a mint was created here. However, in 1491 a year, Ghent lost the privilege of minting coins because of a rebellious attitude against Maximilian Habsburg (1459-1519). Today, only the name of Geldmunt Street reminds us of the operation of the mint in this place. 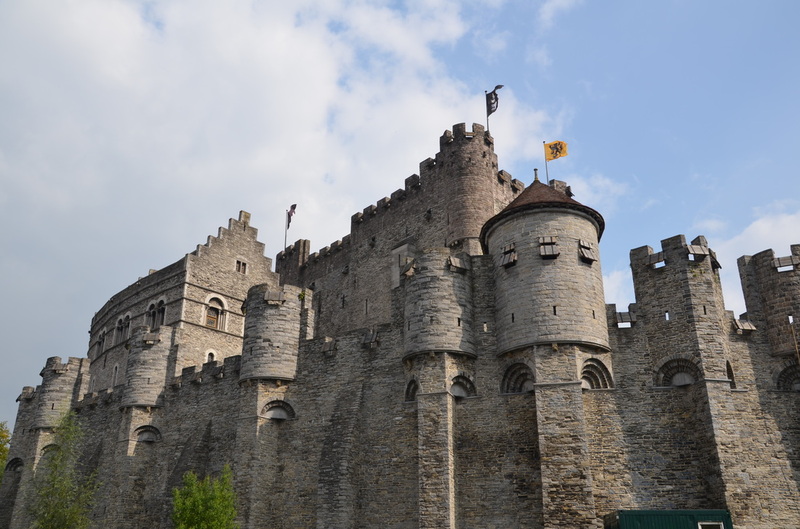 In the 18th century, the Gravensteen castle lost the function of an administrative center. The castle was bought by engineer Jean Baptiste Brismaille and turned into a complete cotton spinning plant. The existing buildings were allocated for cotton warehouses and rooms for employees. In the second half of the nineteenth century, the spinning mill, due to the decline of the castle, moved to the outskirts of the city, and the castle was designated for demolition. The area was planned to be leveled and two roads could be built here. Fortunately, the project has never been implemented. For the residents of the city, the castle was only a symbol of abuse of power, feudal oppression or torture. In 1865 year, Gent and the Belgian government began a process to rebuild this amazing monument. In the year 1888, the dismantling of all buildings that were not built of stone from Tournai began. This revealed the impressive remains of a medieval castle. 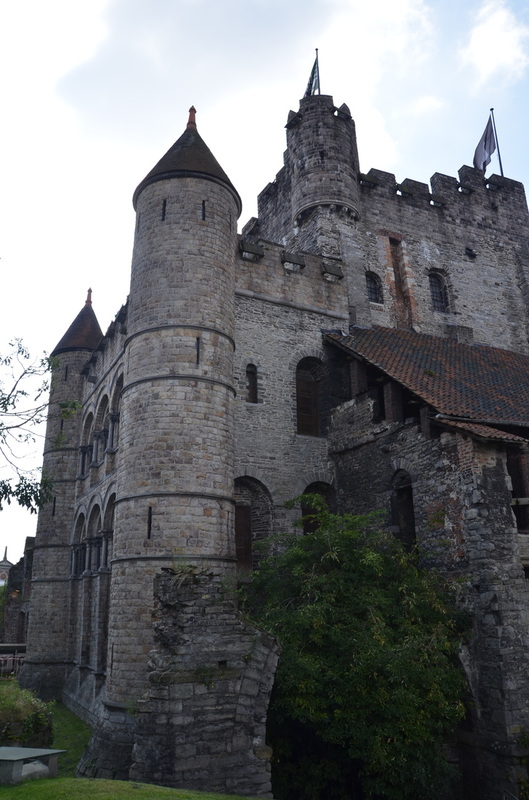 Archaeologist Joseph De Waele decided to rebuild the Gravensteen castle from the time of Philip Alzacki. In the 1907 year, the rebuilt castle was opened to visitors. 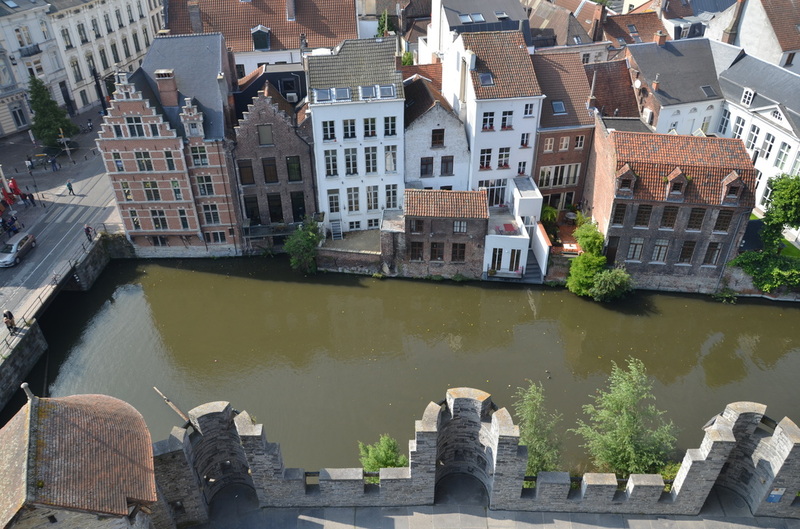 Today, it is one of the greatest attractions of Ghent. 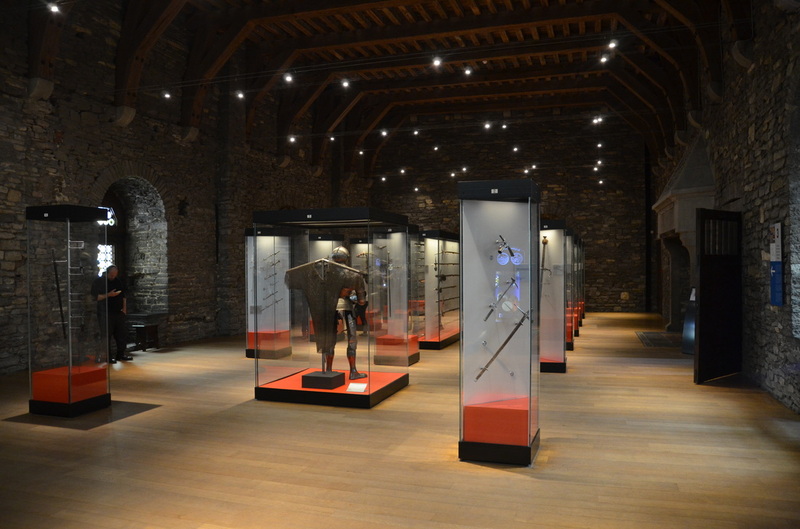 In the castle you will find a weapons museum and a museum of justice. 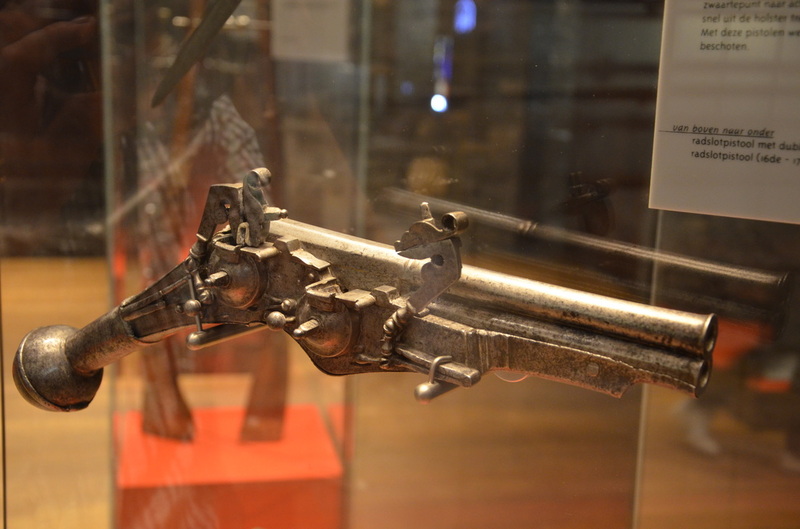 The collection of the weapons museum is one of the largest in Flanders. 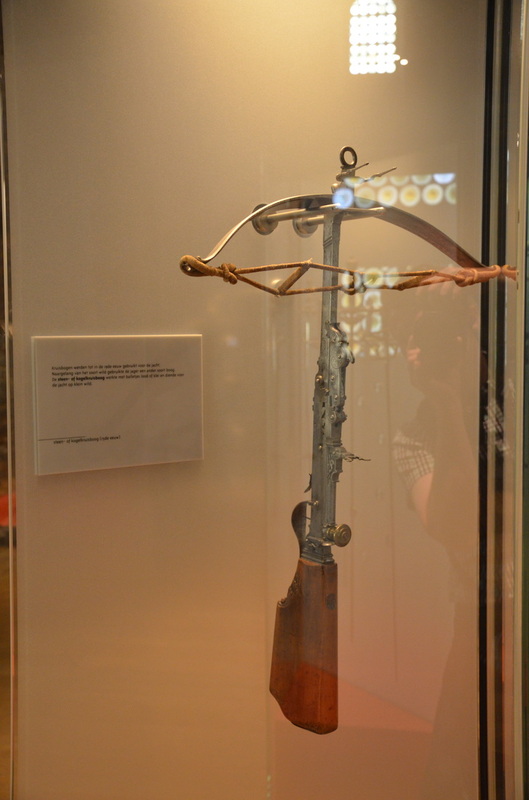 Visitors will also see a torture room with very sophisticated instruments used in the Middle Ages. After visiting the dark interior of the castle, along with the museum part, we reach the top of this magnificent building. 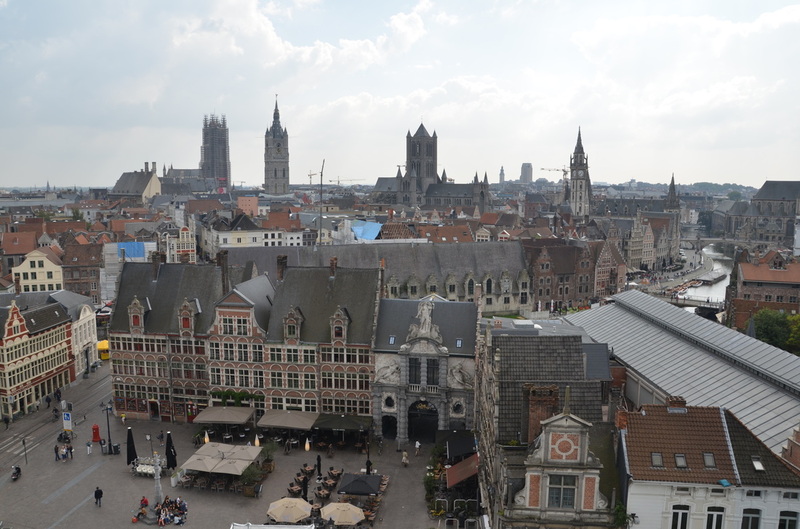 Strolling through the walls we will see a beautiful panorama of Ghent, comparable only to that seen from the belfry. When the weather is nice, we can enjoy great views in a radius of many kilometers.